At the end of this year it’s finally happening – I’ll be going to Japan! Japan has been my ultimate dream destination since I was a teenager, but actually planning the trip took me a while. When I started university I promised myself that I would make this dream come true as soon as I graduated. And last summer that happened, I graduated from university! So now it’s time to make the Japan dream come true! Planning such a big and important trip can seem a little overwhelming, especially if you have little to no experience planning a holiday. That’s why I’m taking you along my own planning for my dream holiday to help you plan yours! Step 2 – Which cities and when? Step 3 – What to do in the cities? The first thing we booked were the flights. 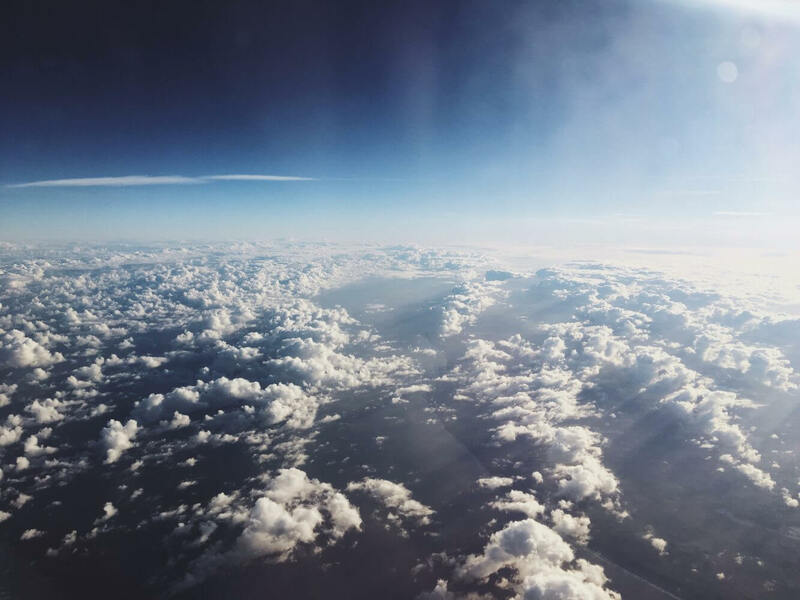 Because flights are one of the most expensive things about a trip like this, we wanted to make sure we got the cheapest option possible (with the exception of dirt cheap flights with 14-hour waiting periods on an airport in the middle of nowhere). I knew I wanted to go for 2-3 weeks in order to see everything I want to see. Via websites like Cheaptickets, Skyscanner and my personal favourite HolidayPirates I searched for the best flight. This meant putting in different flying dates, different airports, different length etc. 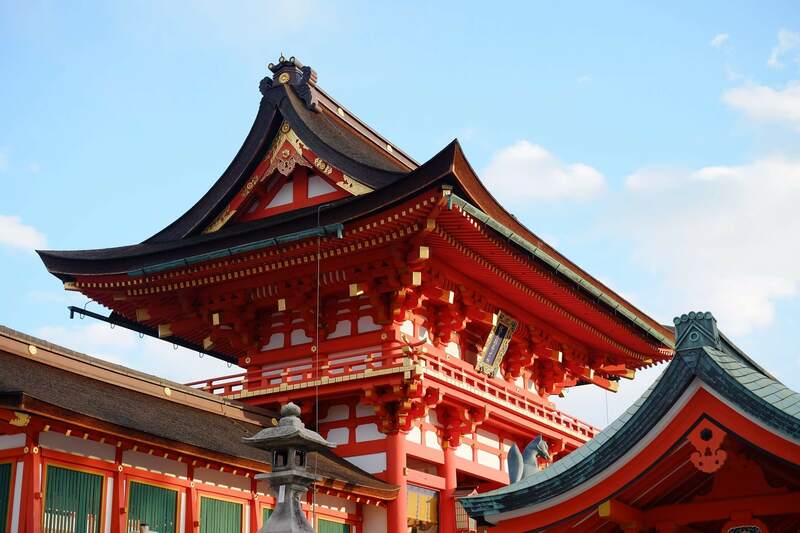 We ended up booking a return flight from Amsterdam – Tokyo Haneda with a 1.5-hour overlay in Frankfurt for £425 per person. The return flight stops in Frankfurt again for 1.5 hours. To check how much we spent on this trip, please check out the Japan Budget Breakdown post here. A few things to keep in mind while booking your own flights. Always book as early as possible! We’re flying to Japan at the end of October and we booked our flights in March. We probably could’ve saved some more money if we had booked them even earlier. Double check the overlay time if it’s not a direct flight. We found flights as cheap as £300-£350 but with a 16-hour overlay between flights (same thing on the flight back), which meant we would basically miss out on two full days of Japan time! Next step is starting the REAL planning. 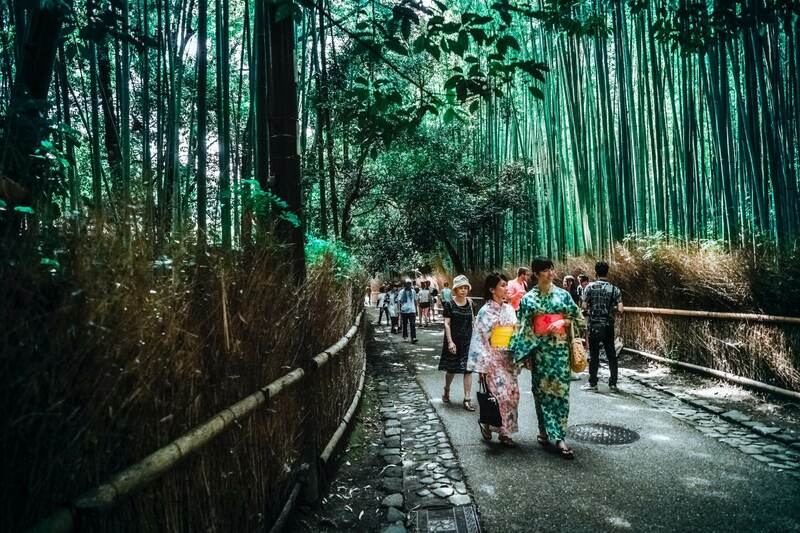 Once you know how many days you’ll be in Japan, you can start planning where you want to spend those days. After booking our flights, we knew we had 16 days in Japan to fill. We also knew that we wanted to see more than just Tokyo. That meant having to use the trains. Because trains are quite expensive in Japan, it’s a great idea to get a JR Pass. This pass allows you to travel through the entire country for one set price. One week will cost you as much as a return from Tokyo to Kyoto (£202), so it’s definitely worth buying. For two weeks you’ll pay a little more (£323). Apart from Tokyo, we decided we wanted to see Kyoto, Osaka, and Nara (with the possibility to see Mount Fuji on our way back to Tokyo if we decide to). In an attempt to save some money, we ordered a JR Pass for 7 days instead of 14. 5 days in Tokyo, take the train in the morning to Kyoto. 4 days in Kyoto, take the train to Osaka in the evening. 3 days in Osaka (with a day trip to Nara), then a train back to Tokyo in the morning with a possible stop near Mount Fuji. 4 days in Tokyo to end our trip and explore some more of Tokyo. After you decide what cities you want to visit, you need to decide what specific things you want to see and do in said cities. Personally, I started reading through a ton of blogs, watched a lot of YouTube videos and even scrolled to the end of Trip Advisor for inspiration. Pinterest, too, is a great start to search for things to do in certain cities – it links to so many great blogs you wouldn’t normally find! For me, the best way to keep track of everything I want to see and do is use Google Maps. You can put a little pin in everything you want to see, creating a clear overview of your plan. 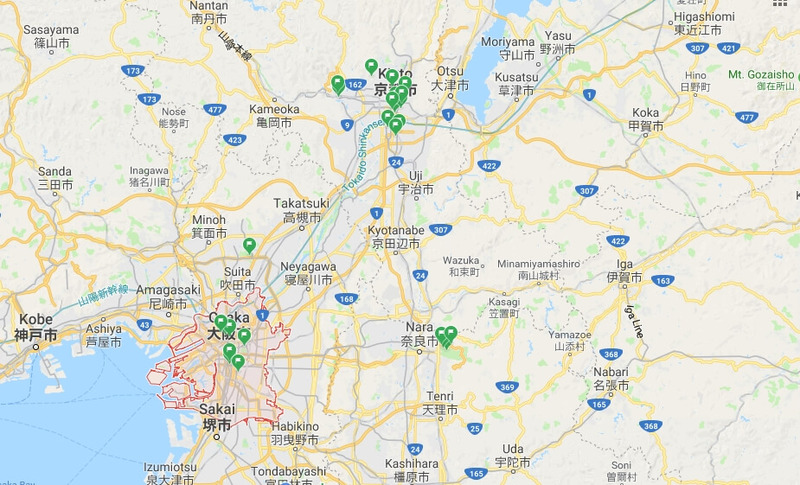 This is important for the next step but also super handy for when you’re actually in Japan and need to use GPS to find the next landmark you want to visit. We now know what cities we want to visit on what days and what we want to see in those cities. When I book hotels/Airbnbs I find it important that I’m near the things I want to see. I don’t really want to spend an hour walking or having to wait for a train/bus to get to the place I want to see. Plus, being a recent graduate, it also needs to be affordable. For this trip, I used booking.com to book all my hotels because it’s nice and easy and you don’t have to pay upfront for most hotels (giving me some extra time to save enough money and time to change my mind in case we find something better without it costing me any money). The way I searched for hotels was simple: I put in the dates, the maximum price I wanted to pay, double bedroom with breakfast and clicked search. I then moved to the map of booking.com, displaying all the hotels in my price range on the map. Then I compared the map with my own Google maps, deciding whereabouts I wanted to stay to make sure I’m staying close by everything I want to see. Here’s a link to the hotels we’re going to stay in during our trip! When you’ve chosen your hotels, you can start planning your days with a little more detail. Because you’ve saved all the pins on Google Maps, you can choose what things you can do on the same day because they’re close to each other. Having a plan for this trip has calmed me down a lot. Japan has been my dream holiday since I was a teenager and I was incredibly scared that I was going to miss out on seeing things. Now I know what I can expect and can simply sit back and relax until it’s time to start packing our bags! Once you’ve made your plan, it’s time to look at some extras that you need to figure out before leaving. Notebook for stamps – My good friend Becky went to Japan a couple of years back and told me to bring a little empty notebook. Apparently, you can get stamps at all train stations and certain landmarks. JR Pass – If you want to use the trains in Japan, it’s the best idea to get a JR Pass (the one I mentioned before). In order to use them while you’re in Japan, you need to order them before you go. You’ll be sent a voucher that you have to exchange when you’re in Japan. It’ll save you a TON of money if you do want to see more than just one city. Book certain trips and activities in advance where possible! In Kyoto we’re going to rent a Kimono for a morning, we’ve got tickets to see a concert while we’re in Tokyo, we’ve secured tickets for Disney Sea and got our tickets for the Studio Ghibli museum. Learn some basic Japanese! You don’t have to speak it fluently, but it’s always very much appreciated to know words like “Thank you”, “Please” and “Good Morning” when you’re traveling abroad. I can barely contain my excitement for this trip and now most things are planned, October can’t come any sooner! If you have any questions about planning your own trip, feel free to leave a comment or email via the contact form. If you want to follow my trip, please make sure to follow me on Instagram and Twitter (as I’ll be sharing a lot along the way!) Looking forward to City Guides and tips for when you’re actually in Japan? Make sure to subscribe to our bi-weekly newsletter for updates on new articles! 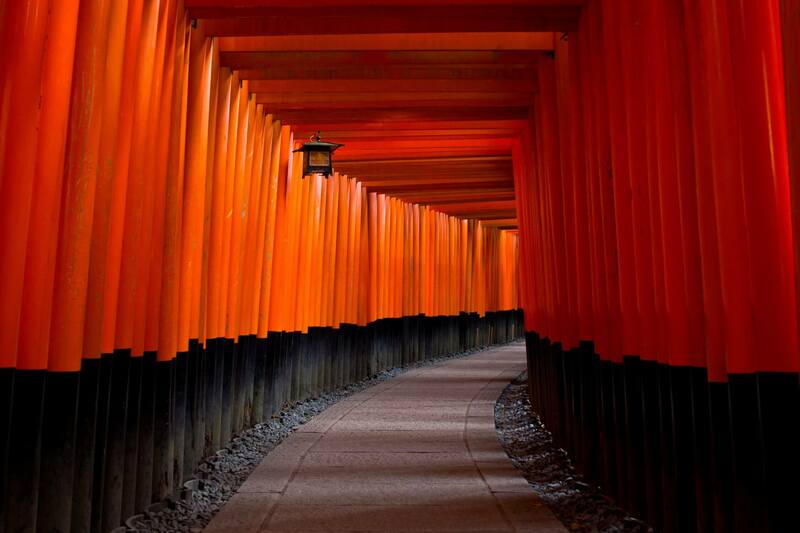 Would you ever like to visit Japan? What would you like to see best? Interesting about the stamps! We’re planning a trip there, too, and we hadn’t heard about that. I think our kids would love collecting travel stamps! Super glad I have found your job twice in one day 🤣 I love how easy and fab you make travelling look! 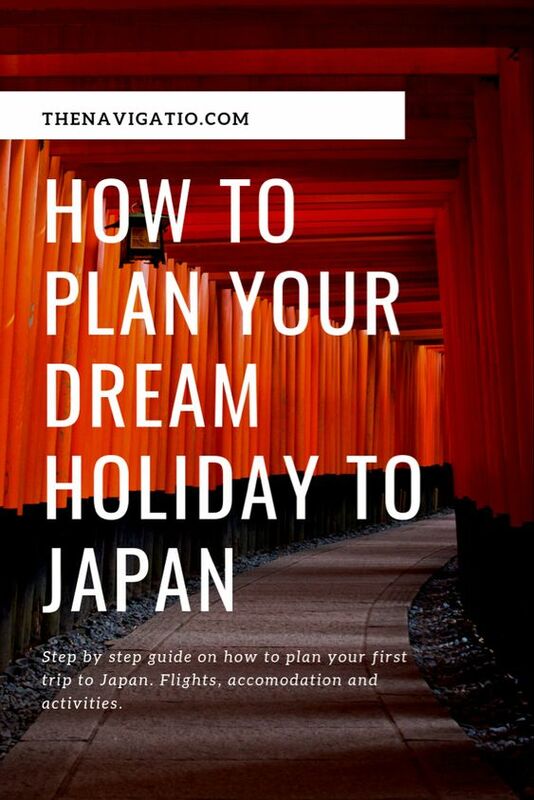 Going to Japan has always been on my list so this made a very interesting read! Thank you hunny! Glad it’s helpful Ashleigh! 🙂 Cannot wait to share my experience on here once I’m back! Your plan sounds incredible!! I went to Japan in 2016 and I had a wonderful time visiting the same locations to what you have planned. I want to return so badly to do places that I missed and have heard good things about since coming home. Glad you had such a good time, I’m so excited to go! If you have any recommendations for those places, please let me know :)! These photos are incredible! Japan is somewhere I’ve always wanted to visit but it’s been so hard trying to save haha! Hopefully it’ll be a trip for 2019! Thanks! I know the feeling, it’s so hard to save! I had to freeze my bank account when I started university, to make sure I’d have enough to go after graduating haha. I’m gonna make a full budget/money plan for my trip once I’m done so you can see how much I ended up spending! 🙂 Might be helpful! Late congrats on graduating uni! It’s so funny, I told myself that I’d hop on a plane for Japan once I graduated school but I ended up going to Canada instead!! It was better that way anyway, because I got to see my partner and I didn’t have nearly the amount of money I needed for going to Japan anyway! I love the pictures you took…they are excellent! And yes, it makes so much more sense to plan down to the nitty gritty details instead of being spontaneous and just decide then and there to take full advantage of your time! Wow! What an awesome trip! I can’t wait to hear all your stories and see your pictures. 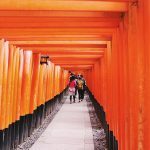 Planning a long stay and exploration in Japan in a very similar manner to you is something we have wanted to do for a long time but that old curse of limited annual holiday and finding ourselves booking other things before committing to this sort of trip has meant we’ve just kept putting it off. We will be visiting a couple of stops in Japan next month – Kagoshima and Naha, Okinawa – but they’ll be as part of a cruise so we won’t get that in-depth feel for the country. One day, maybe. Looks like you’ll have a fabulous time from your plan. I feel that! I had to freeze my savings in my bank account before I started university so I wouldn’t spend it all haha! Hope you have fun in those places though – I bet they’re beautiful! I have dreamt of Japan for as fa as I remember! I want to visit to bad! This is such a detailed and helpful post, thank you! Japan is so beautiful! I love your photos, and this is so helpful! One of my friends is tarting to plan her trip so I’m gonna send her this post! Thank you for the great tips! Now I’m ready to take a trip… not sure where to go. Thanks for reading! Haha, I know the feel! Love planning trips – already excited to plan a next holiday! Book marking this post for when I eventually plan to go to Japan. Tonnes of super helpful info and love the pictures! Thank you! Hope it helps 🙂 If you have any questions, please let me know! You got really good priced flights! The 2 weeks that you dedicated to them definitely paid off! Also that pocket WiFi is a genius idea! I wonder if other places do similar things? Thank you Bexa! Glad they’re helpful – if you ever have any questions about planning a trip like this, please let me know! Thank you Michelle! As long as you can break down the bigger plan, I feel it’s a lot easier! This is such a helpful post – thank you! My partner has been talking about visiting Japan for so long now and we’re hoping to make it happen in the next year or so! I’d love to go around March to see the cherry blossom but I heard that’s the busiest time of the year to visit! Your photos are absolutely beautiful. Glad you liked the post – hope you get to travel someday! Wow that’s very informative post! Definitely helpful for first time travellers! Great write-up. Thank you! Glad it’s helpful :)! Love this! Definitely a good idea to plan Japan carefully as it can easily become expensive otherwise. JR pass is awesome. I would highly recommend a visit to Kanazawa in Ishikawa (West Japan) if you get the chance. I lived there for a year and loved it 💕 Have a great time!! It’s so cool that you’re going to Japan! Major congrats on graduating from university! Oh man, the flights look like a great deal. These are helpful tips for scoring some good deals. There’s so much to do out there! Love that you planned so many details for your trip. Have fun when you go! Love the post! Japan is on my go to list for places to visit! Always wanted to go, might finally be going in a year or so, the images are incredible! Thank you :D! Hope you get to go next year too, if you have any questions about planning your trip please let me know! 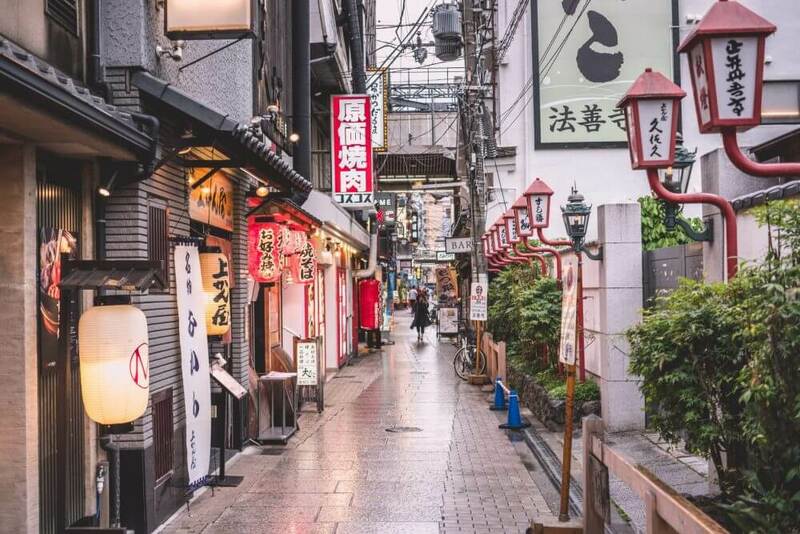 This post is so helpful 🙂 me and my partner would both love to do Japan one day 🙂 this is full of great information and inspo! Thanks for sharing and I can’t wait to read about your trip when you get back. Thank you Rachel, so glad you find it helpful! I’ll be sharing my whole trip on here once we’re back so hopefully that’ll give you some inspiration for your own trip! First, congratulations on graduating university! That’s such a big accomplishment! Next, this list is SO handy for people planning to visit Japan! I want to visit the country sometime in the next two years and OMG this post has been so so helpful! Ohhh this sounds really exciting! Have a great time! Congrats! Hope you have fun. Thanks for the helpful tips. It’ll make my life easier when I go to Japan since I’m pretty clueless on where to start. Thank you! Hope it helps for your own trip – if you have any more questions please feel free to contact me! I absolutely loved my time in Japan and would give anything to go back there. It is such a crazy and interesting country and culture. Sounds like you’ve done some great planning. 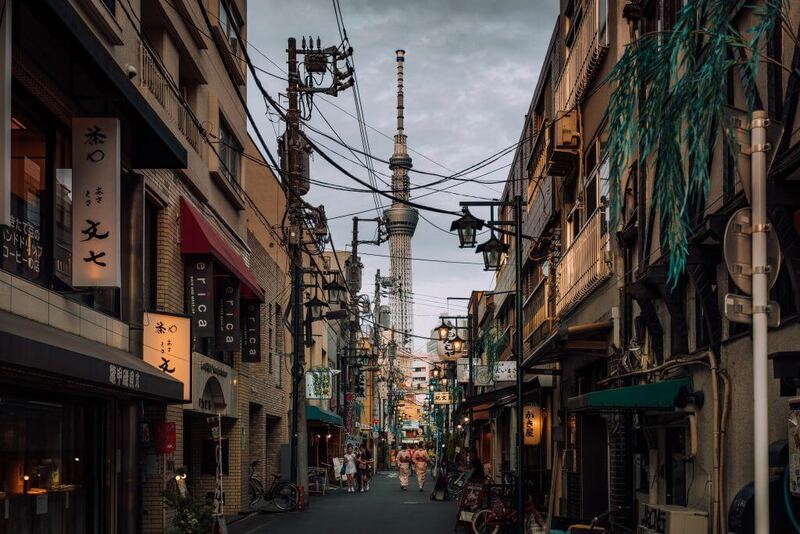 Tokyo and Osaka and absolutely amazing cities. The Studio Ghibli museum is absolutely incredible so do try go there if you get a chance and a maid cafe, they’re unlike anything else ahaha. Oh and make sure to see Kinkaku-ji (the golden temple) in Kyoto! Hope you have an amazing trip!!! Ooh, these photos are so beautiful! After my A-levels, I’m planning on going away somewhere outside of Europe and I’m definitely considering Japan so if that’s the final decision I shall be coming back to this post! Congrats on ticking this off your bucket list! The travel in Japan seems so expensive but I take it you had a great time. Japan is on my list one day, just not anytime soon. Great post! Japan is a place I truly dream of going I have a friend that’s going next year and I’m sending him this post as fast as I can. Love the pictures. Love the details. Looks like you had an outstanding trip. Thanks so much for sharing the post, hope your friend finds it useful! 🙂 Working on all the travel guides at the moment, hope to post them soon! Thank you so much! He brought a kimono for you? How lovely! They’re so pretty! Hopefully you get to go someday too, it was really the best trip ever! Thank you!! Having a plan really helped a lot when we were there, the idea that we knew what we were doing every day helpt a lot with the travel stress haha! Hopefully you get to visit Japan someday!